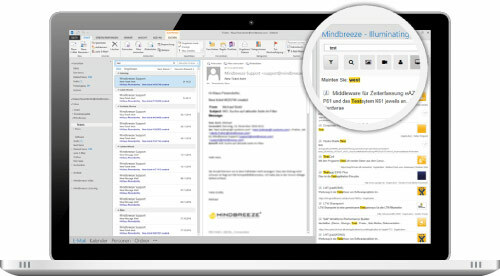 Mindbreeze InSpire is delivered as a pre-installed Enterprise Search Appliance Box. Put the server box into the rack. Configure data sources. Start information crawling. 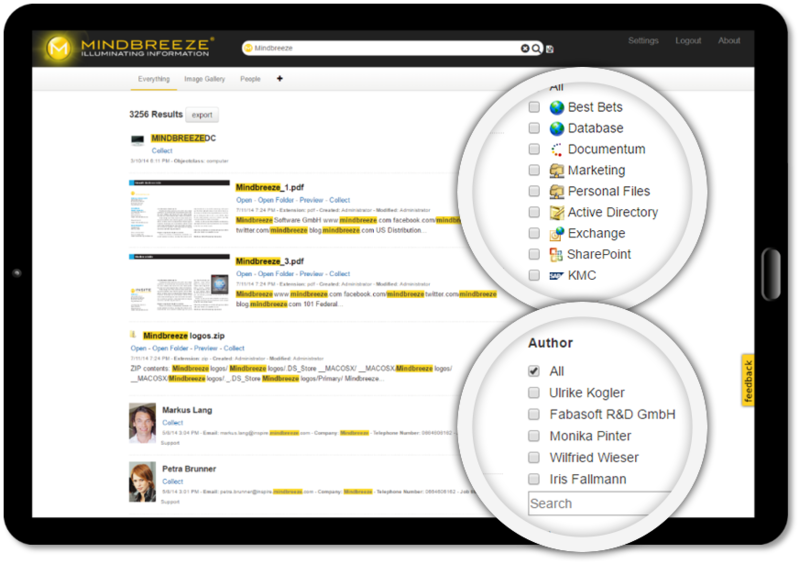 Mindbreeze InSpire updates the search index for new and updated information quickly. The time interval can be configured for updating the index every 10 minutes. Information is automatically processed in such a way that it corresponds to a specific role in the company. This gives different employees or groups a different view of the company's knowledge, even if they use the same information sources. The editor, developed by Mindbreeze, contains a selection of design elements, or widgets, such as filters, which can be easily combined just the way you want them, without any prior programming knowledge. Search queries can be formulated in natural language. 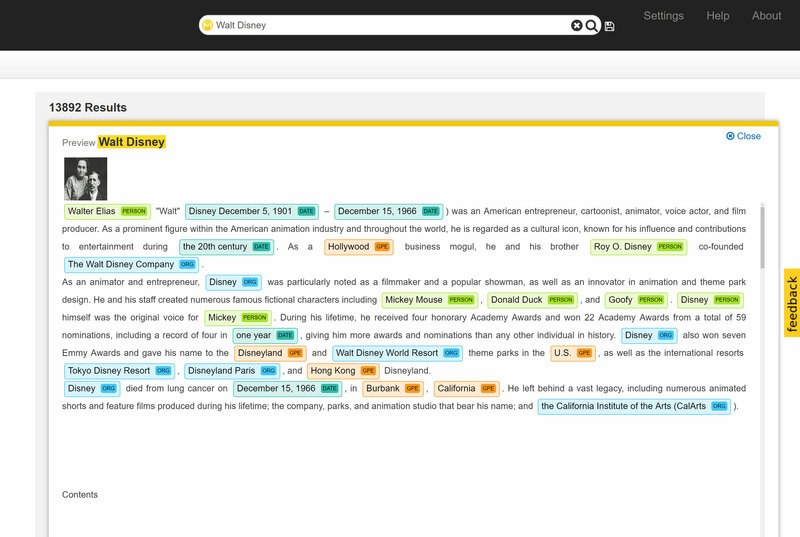 The insight engine interprets the query and delivers relevant search results. 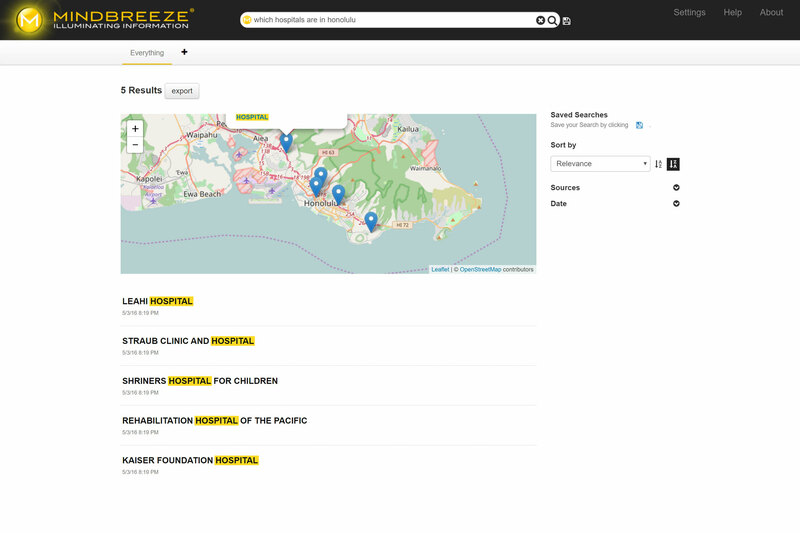 Mindbreeze InSpire enables the connection of different data sources via connectors, as well as a seamless integration into various applications and programs. This allows InSpire to be easily used with programs like Jive, SharePoint and Outlook, and ensures that users find all the essentials right away.